Google likes things clean and simple, but the Android Market browser interface was just TOO simple. You couldn't search, buy or review apps, except from your phone. Recently the Android Market has been revamped and the result is great. Once you find an app you want to install, just make sure you are already signed into your Google Account, press INSTALL and it will be added to your phone. This is the best part, you don't even have to attach your phone to your computer, it is done Over the Air (OTA). You can search the entire database of apps, or browse through categories. In each category you can see Featured, Top Paid, Top Free and Top Tablet Apps. 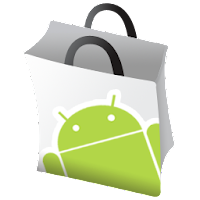 If you haven't checked out new Android Market from your computer, I think you will be pleased with the improvements.